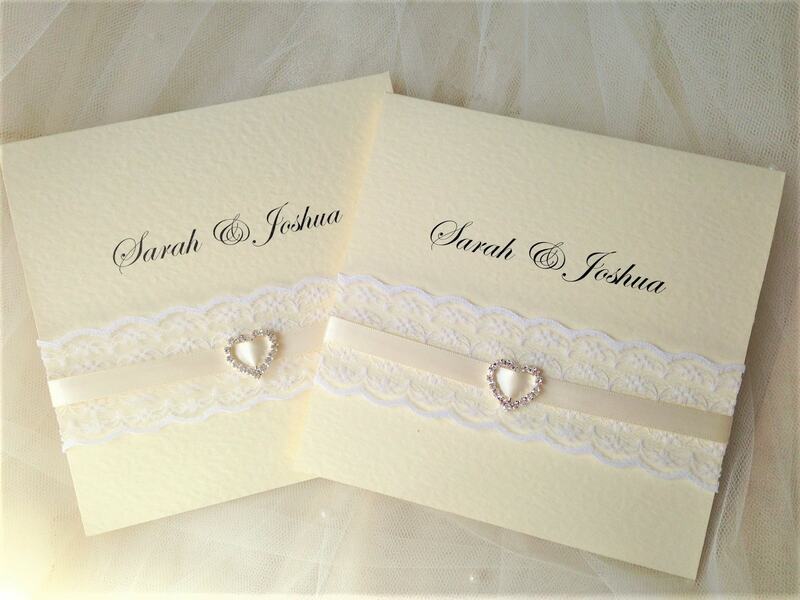 Ribbon and Lace pocketfold wedding invitations with a beautiful heart shaped diamante slider. 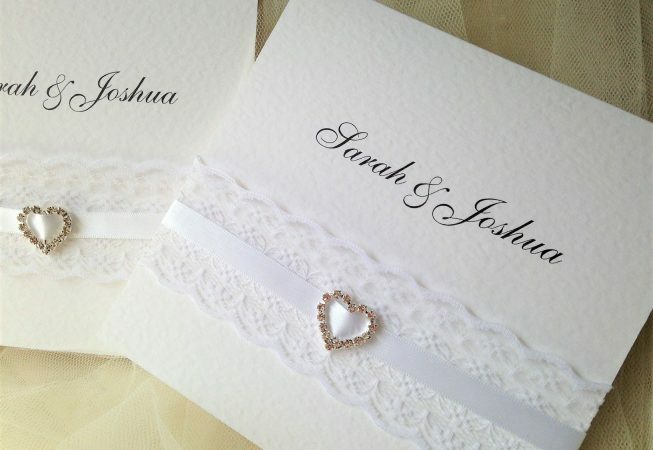 These stunning classical invitations really set the tone for your wedding day. Featuring an abundance of materials and textures, white lace, white or ivory satin ribbon and diamante stones in the slider which can be introduced into styling elements of your wedding day. 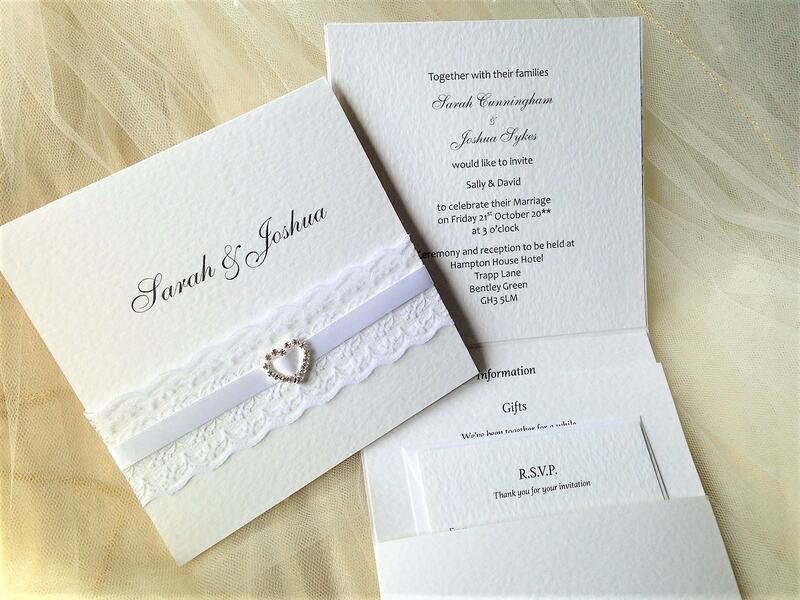 Printed on a heavy white or ivory hammered card which is 270gsm and supplied with free matching envelopes. The wedding invitation design is also available in brown kraft card if you prefer. 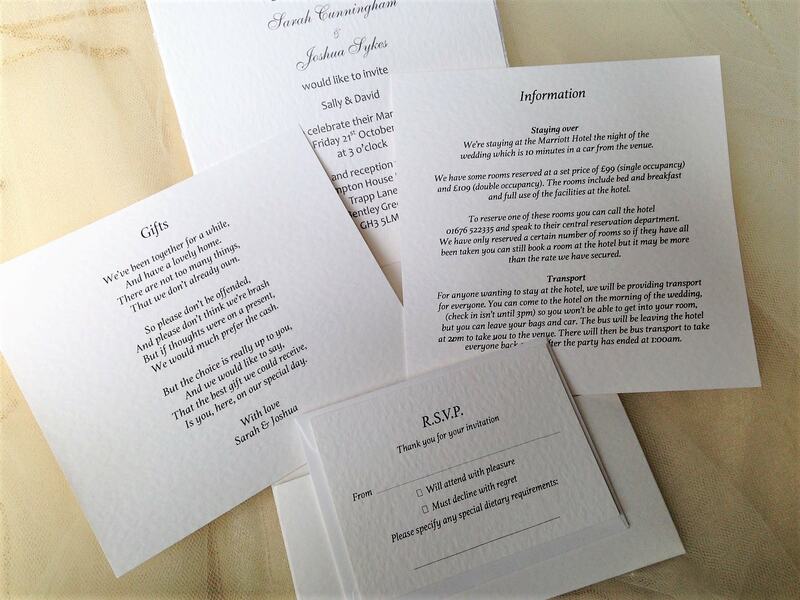 Invitation is a 4 part set comprising of the pocketfold invitation, large insert, smaller insert and RSVP card and envelope. Our price includes all the elements printed in a font style of your choice. We also offer free guest name printing. If you like the font styles shown in the photograph just request them in the comments box at check out! 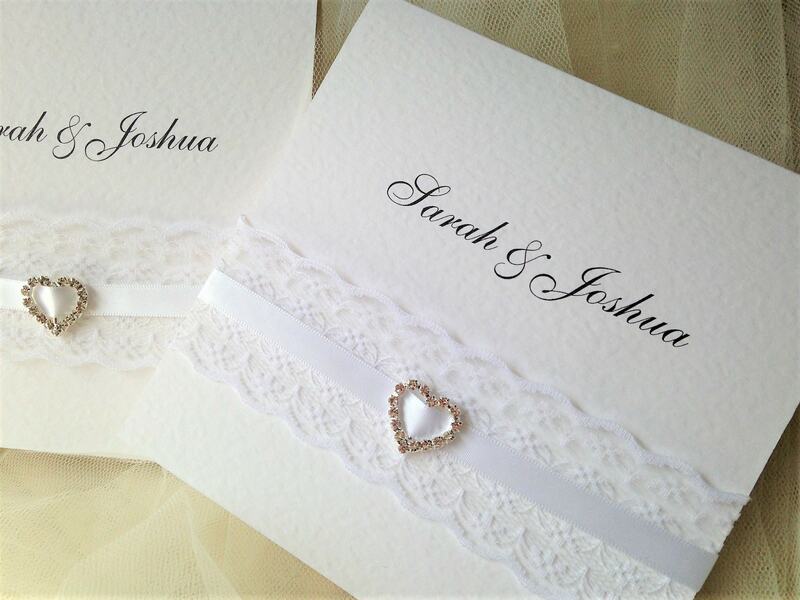 Please note that they are only available with a white or ivory ribbon option. Please detail in the comments box during the check out process. Pocketfold is 15cm x 15cm when closed.